Masarepa is dehydrated cooked corn meal. It is available in the Latin section of most supermarkets in wither white or yellow varieties. This recipe calls for white, but they can be freely substituted. Popular brands include Goya and P.A.N. Crumbled cheese can be added if desired. Depending on the moisture level of the cheese, you may not need all the water. Colombian-style queso fresco is ideal. If you can't find it, substitute cotija, ricotta salata, or feta. Arepas can also be cooked on a greased panini press or a grill over low heat. Combine masarepa, cheese (if using), 1 cup water, and 1 teaspoon vegetable oil in a medium bowl and knead with hands until a dough is formed. Take a small amount and flatten it between your palms If the edges crack, knead in more water a tablespoon at a time until dough is supple and smooth but not sticky. Season dough to taste with salt, then cover and set aside for five minutes. Divide dough into four even pieces and roll into balls. Working on a wooden cutting board or a regular cutting board with a sheet of plastic wrap or parchment paper on top of it, flatten each ball down to a disk about 5-inches in diameter and 1/4-inch thick. 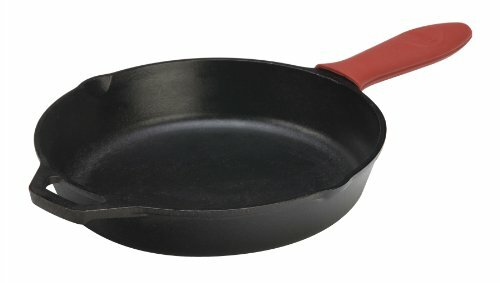 Melt butter in a 12-inch cast iron or non-stick skillet over medium-low heat (see note #3 above). Add arepas and cook, moving them around the pan and rotating them occasionally, until first side is charred in spots and a dry crust has formed, about five minutes. Flip arepas and cook on second side until a dry crust has formed, about five minutes longer. Continue cooking, flipping every minute or so, until arepas are mostly dry and relatively stiff, about five minutes longer. Serve hot with cheese, melted butter, or toppings of your choice.